It neutralizes the radiation emitted by mobile cell phones. Used as protection against radiation emitted by mobile cell phones when talking or cell phone is on. Stick it on the back of your phone unit. It is compatible with the rest of devices. 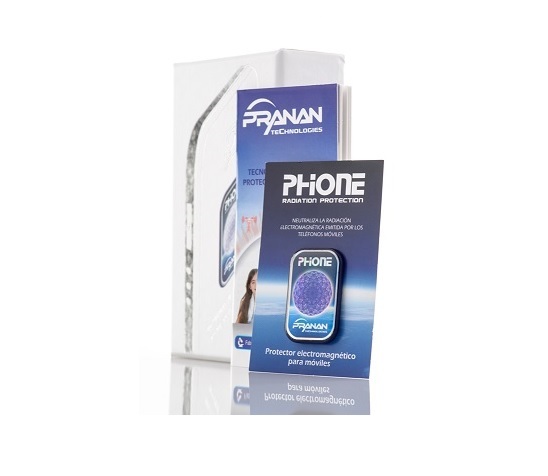 It protects from harmful radiation emitted by mobile cell phones and wireless devices, including those of latest generation. It doesnot affect the quality of the phone operation. Protect when phone is on and whenever talking. Automatical activation when cell phone is on. Can be used whatever cell phone replacemements. Once out of packing case, take out presentation card and adhesive protective paper strip. Then stick it on cell phone back. (The device is automatically activated when in contact with electromagnetic radiation, that is, when the cell phone is on). Lifetime: Limitless as long as it is kept in perfect use conditions.